Thank you 2012 CSA members! Thanks to everyone who was a member of Cully Neighborhood Farm’s CSA in 2012! We had our best year ever with 18 summer shares and 15 large biweekly winter shares (Nov/December). 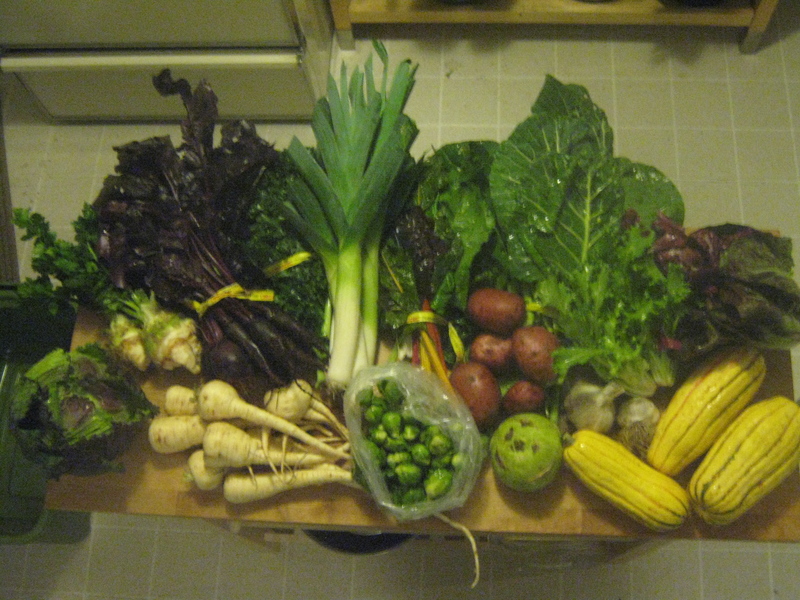 Here’s a photo from one of our CSA shares this winter. This entry was posted in csa and tagged csa. Bookmark the permalink.